It’s difficult finding that perfect combination of comfort and value, particularly when it comes to AC units for homes. With climbing summer temperatures, one thing’s for sure and that is you definitely need AC. The question is though, what works better for you? Window and portable units can do a good job cooling one or two rooms and are relatively inexpensive to install, but they aren’t necessarily the best long-term option. 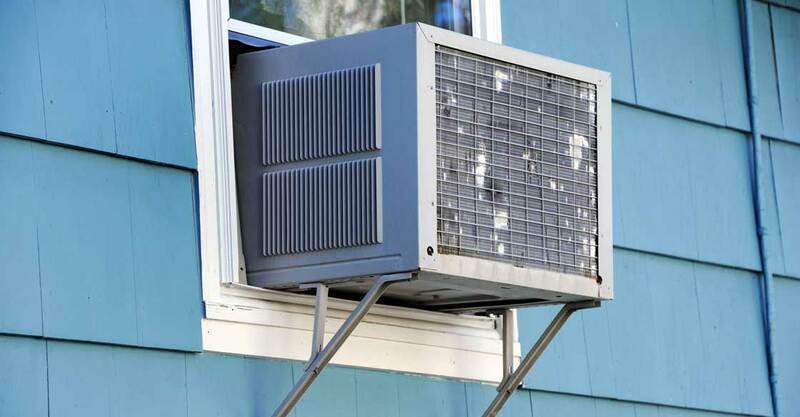 This guide will show you the difference between one room air conditioners and HVAC systems so you can make an educated decision on the best choice for your needs. This is really the most important factor in determining your cooling needs. If you need to only cool one or two rooms then a mini portable AC unit or window ac should be enough to cover your needs. These have low upfront costs and can be installed quickly or moved easily. However, if you need to cool three or more rooms then it just makes sense to go with HVAC. The problem with portable AC is that is not particularly efficient. Once you are running more than two of these systems, they actually can cause a dramatic and expensive spike in your electricity usage. A central HVAC system runs more efficiently than a portable AC and will more effectively cool your home. Do Your Own Your Home? If you own your home then you definitely should consider installing an HVAC system. It’s a worthy investment that significantly adds value to your home. But it’s also about comfort and convenience. With an HVAC system, you can regulate your entire home’s temperature from one panel and nowadays through your smartphone as well. They are also significantly more convenient. With portable AC, you generally need to install one per room which means getting the right size and fitting for each area. You then have to regulate temperature accordingly and may lose window access as well. Portable ACs are just large boxes that sit in windows, and you can decide whether or not you like that aesthetically. With HVAC, everything is hidden and running through vents, and if you already have a forced air system in place then it just makes sense to get one installed. Best of all, when it comes time for HVAC maintenance, you only have one system to worry about and not several. When it comes to AC’s, you’ll also want to consider installation costs versus value over time. Although the installation of an HVAC system may cost between four to five thousand dollars upfront, the savings over time along with the investment in your home’s value can pay off over time. Not only that, you can work with companies to find a system that matches your budget and needs. Portable AC vs HVAC: So What’s the Verdict? In the end, if you have more than a couple of rooms and particularly if you own your own home then it simply makes sense for you to look into an HVAC system. With a centralized air unit, you are getting convenience, comfort, quality, and efficiency all in one package. If you think an HVAC system might be a good move your home, then contact one of our air conditioning specialists today who can help find the perfect choice for you.